Driveway repair and DIY pothole repair made simple with EZ Street cold asphalt. Sometimes, some things seem too good to be true. But the truth about EZ Street cold patch is also its beauty. It's as simple as sweeping out a pothole, throwing in the mix and walking away. 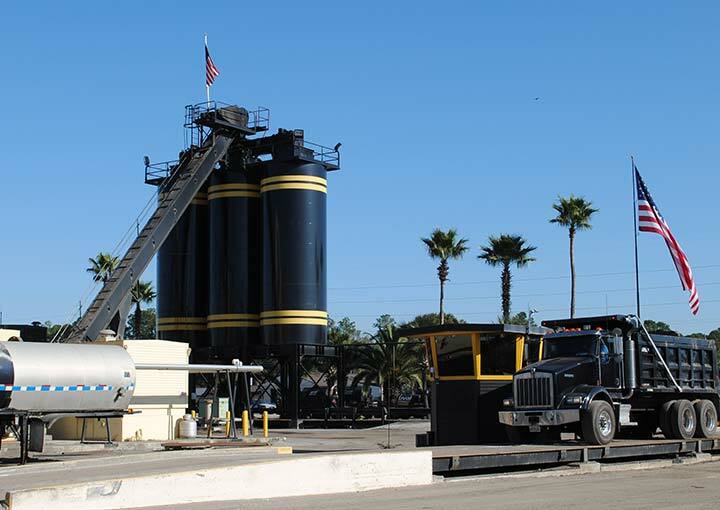 EZ Street cold asphalt is your driveway repair solution. Repair potholes in your driveway in a few minutes. "Best I have seen on market! I have in years prior used typical black top patch. EZ Street by far leaves those products in the dust. Seemingly a technological breakthrough. You can work with it when the ground is wet. And after giving it time to cure, about one month, you can seal over for continuity. Great!" "Best I have seen on market! So glad I found this product. I was able to patch the pothole in our driveway all by myself. We had spoke with other repair people about repaving and patching, but this was much less expensive and it worked great. We had a couple of potholes to repair -- used two bags -- I used the shovel we already owned and a little muscle (not too much) and my part was done in less than 30 minutes." Do your roads, parking lots and driveways look like this? 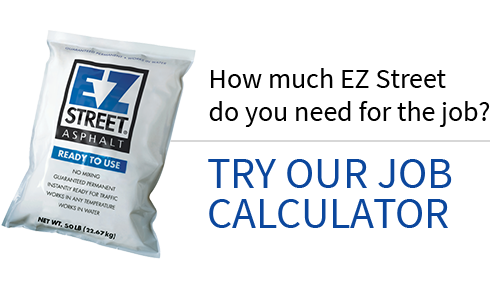 Professional road-crew quality and a consumer-friendly format: EZ Street cold asphalt comes in easy-to-handle plastic bags and makes quick work of pothole repair.